You are here: Home / General Information / Animals Today October 17, 2018: Can climate catastrophe be averted? In this show, we welcome Professor Richard Schwartz, Ph.D., to discuss the pressing issue of climate change, and how global catastrophe could be averted. Of course, we speak about the value of adopting plant-based diets in reducing greenhouse gas emissions. 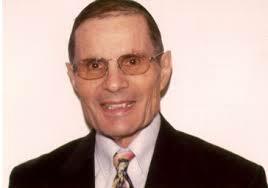 Richard has been advocating for vegetarian and vegan diets for many years, both in his role as the President Emeritus of Jewish Veg and now as an independent author and commentator. He was early to point out the harm caused to the environment by modern industrial agriculture, and has continued to be a strong voice for environmental protection and against animal cruelty. He is President Emeritus, Jewish Veg, formerly Jewish Vegetarians of North America (www.JewishVeg.org); President, Society Of Ethical and Religious Vegetarians (SERV) and associate producer of ‘A Sacred Duty:Applying Jewish Values to Help Heal the World’ (www.aSacredDuty.com). Richard has appeared as an Animals Today guest a number of times: 2012, 2012 with Frank Hoffman, 2013, 2014, and 2016. Many thanks, Lori and Peter, for permitting me to be on your wonderful program once again. Your program is so important especially now, with animal-based diets having devastating effects on human health and the environment. Animal-based agriculture is a amor contributor to climate change, so it is essential that there be a major decrease in meat consumption in order to have a chance to avert a climate catastrophe.